K L University, Vijayawada has advertised for the recruitment of Teaching Faculty- Professor / Associate Professor / Assistant Professor / Trainers / Tutors jobs vacancies. Interested and eligible job aspirants are requested to apply on or before 20th July 2018. Check out further more details below. About University: K L University, officially the Koneru Lakshmaiah Education Foundation, is a deemed university located in the Vaddeswaram Guntur District of Andhra Pradesh, India. 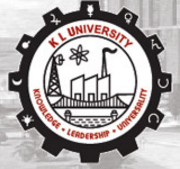 K L University consists of 11 academic departments and six schools, with emphasis on scientific and technological research. Professor / Associate Professor / Assistant Professor- Ph.D / M.Tech with good Teaching Experience. Trainers / Tutors on emerging Technologies- M.Tech with relevant Experience. Experience: A minimum of 5-15 years experience is preferred. Salary: All short listed candidates will be offered remuneration on par with industry. How to Apply: Interested and eligible candidates are requested to send their application along with CV, copies of certificates and PP size photo to the following email address.